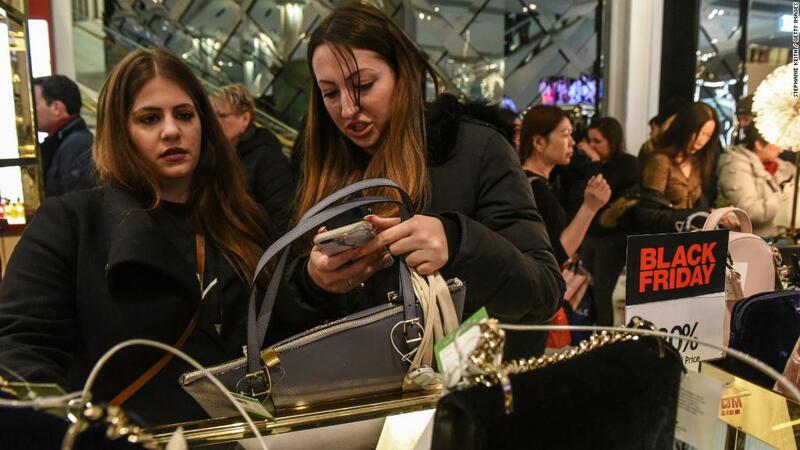 Black Friday was huge for online shopping, but Cyber Monday could be even bigger. Adobe Digital Insights projects the day to rake in as much as $6.6 billion in sales -- a 16.5% increase over last year's record-setter. By comparison, Adobe said shoppers spent about $5 billion online on Black Friday. The group says it tracks 80% of online spending at America's 100 largest retail websites. That number shouldn't shock you. Cyber Monday is the last big hurrah in the post-Thanksgiving holiday shopping marathon. And Tamara Gaffney, an Adobe analyst, told CNNMoney that digital shoppers tend to hold off hitting the "buy" button until the last minute. Gaffney said online orders tend to peak around 8 p.m. to 11 p.m. Monday. By that time, she said shoppers know exactly what they want. There's also a sense of urgency, since they know the deals will disappear Tuesday morning. It's not a new phenomenon. Gaffney said if this Cyber Monday sets a new online record, it will be the sixth year in a row the day has done so. Last year's Cyber Monday rang up a record $5.6 billion in sales, according to Adobe. The boom in online shopping is a trend with which traditional brick-and-mortar retailers are all too familiar. In-store traffic has suffered as more and more consumers choose to shop online. Even so, data from past years tell us that the vast majority of spending during the entire season will happen at cash registers. Holiday retail sales in November and December 2016 hit $658 billion, for example, according to the National Retail Federation. Online sales that year accounted for just $123 billion of that number.